Financial institutions received much of the blame for the global financial crisis in 2008. A wave of regulatory reforms in the financial and banking sector have taken place globally since that time in an attempt to address perceived weaknesses in the system. Amongst these, Basel III was developed to strengthen bank balance sheets and to tackle deficiencies in financial regulation exposed by the financial crisis. In Asia, jurisdictions such as China, Hong Kong, Singapore, Japan and Australia started implementation of Basel III on 1 January 2013. Implementation in the Far East seems to have encountered fewer obstacles than in the West, where the US and the European Union have displayed more reservations about Basel III and have not yet implemented it. This article gives an overview of Basel III and its likely effect on Asian banks. Basel III was proposed by the Basel Committee on Banking Supervision (the “Basel Committee”) and endorsed by the G20 leaders in 2010. It is a set of rules strengthening capital requirements and introducing new liquidity and leverage requirements. The regulatory framework is scheduled to be fully implemented on 1 January 2019. Basel III requires banks to adhere to three capital adequacy ratios calculated as a percentage of their risk-weighted assets: 4.5% in common equity (up from 2% in Basel II); 6% in Tier I capital (consisting of equity and retained earnings) (up from 4% in Basel II) and 8% in total capital including Tier II capital (same in Basel II). In addition, it requires a mandatory capital conservation buffer of 2.5% (to be satisfied by common equity), which can be accessed in times of stress, that is, when the banks’ capital adequacy ratio falls below 7%. A discretionary countercyclical buffer is also in place, where another 2.5% of capital (to be met by common equity or other fully loss-absorbing capital) will be built up during periods of high credit growth, that in the opinion of the member states aggravates system-wide risk. The new minimum 3% leverage ratio (the ratio of capital to total assets) introduces a non-risk based measure to supplement the risk-based minimum capital requirements. 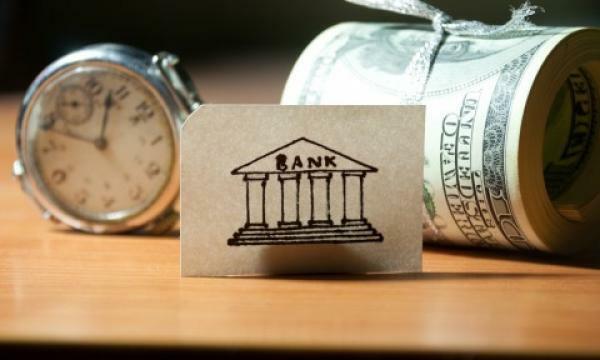 The new liquidity ratios, which are the Liquidity Coverage Ratio and the Net Stable Funding Ratio, ensure that banks have sufficient liquidity in times of crisis. The Basel Committee has just published the revised Liquidity Coverage Ratio requirements in January 2013, which allow banks to choose from an expanded list of assets to meet the requirements and give the banks an extended deadline (from 2015 to 2019) to comply. There has been continuous debate on the effects of Basel III on the financial system. Most agree that the tightened requirements will create safer and stronger banks and therefore a more stable financial system. There are differing views, however, as to the impact of Basel III on economic growth. For example, the Institute of International Finance suggests a great impact on economic growth, while the Basel Committee itself and the Organization for Economic Cooperation and Development suggest a more limited impact. In any case, in an environment where financing costs (and hence the costs of doing business) are higher, economic growth is likely to be affected. The costs of doing business will be higher because in order to meet the higher capital ratios, banks will have to reduce lending, resulting in reduced access to credit for business. Moreover, banks will charge higher interest to make up for the loss in revenue from reduced lending volume, leading to higher credit costs. Naturally, small and medium-sized business will be more affected by the new rules. In order to survive, they might need to resort to other, more expensive avenues of financing. Banks will also suffer. Management consultancy firm McKinsey estimates that the average return on equity of the top 13 global banks will drop from 20% in 2010 to about 7% after the implementation of Basel III, although it was also suggested that Basel III would have less impact on Asian banks than on Western banks because the former have a more healthy capital adequacy ratio and many of the major banks in Asia have in fact already met the Basel III minimum requirements. For example, in Singapore, the existing requirement for total capital adequacy ratio of 10% is already higher than Basel III’s required 8%. Some argue that since the implementation of Basel III is a gradual process – the regulatory requirements will only come into full force in 2019 – the effect might be evened out and thus might not be as substantial as it appears to be. Nonetheless, businesses will start finding that banks are more conservative in giving out loans as they gradually build reserves to meet the new regulatory requirements. Apart from Basel III, the recent Dodd-Frank Act, which implements the much contested Volcker Rule, will also impact Asian banks. The rule limits the ability of banks to engage in proprietary trading or invest in hedge funds and private equity funds to 3% of Tier 1 capital.Asian banks subject to US banking regulations (e.g. if they have branches in the US) will be subject to the Volcker Rule. Limitation on the ability of banks to make markets will reduce market liquidity and credit availability while credit costs will increase to make up for the loss in revenue. All these are likely to culminate in the same result – a safer and sounder banking infrastructure, but higher financing costs for businesses and less business volume for banks. Basil Hwang is the founder of Dechert’s Asia practice and the managing partner of its Hong Kong office. He is a leading “go-to” expert in the region for financial services laws and regulations. Selina Wong is a trainee in Dechert’s Hong Kong office and an avid hockey player and outdoor enthusiast.